On the 30th anniversary of Brazil's "Citizen Constitution" and the 130th year since the Abolition of Slavery, deep-rooted racial inequalities are still a major issue in the Brazilian society. RIO DE JANEIRO, BRAZIL – Despite Brazil’s progressive constitution concerns with human rights and social inequalities based on race are still a problem in the country. According to Carioca lawmaker Benedita da Silva and Bahian sociologist Vilma Reis, Brazil’s black population still fights to guarantee its basic rights. 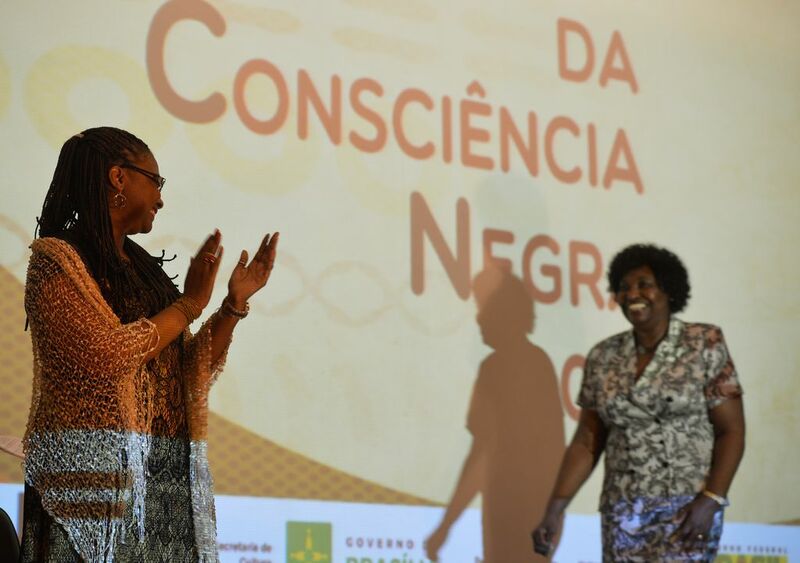 Carioca lawmaker Benedita da Silva (right) is one of the only three black congresswoman in the Federal Chamber of Deputies (out of 513), photo by Marcello Casal Jr./Agência Brasil. Known as the “Citizen Constitution”, the 1988 Constitution is considered the most democratic from Brazil’s history – compared to the six previous ones. Among the fundamental principles foreseen in this document is the promotion of welfare for all citizens, regardless of social origin, race, gender or age. The Citizen Constitution also stood out for being the first to consider racism as punishable crime, representing an important step for the Afro-Brazilian communities’ struggle. Additionally, the official document foresees the prohibition of income and professional discrimination – regarding gender, age, race or civil state. Even though the 1988 Constitution has encouraged the approval of key public policies against racial discrimination and inequality, the social inclusion of the black population remains a great challenge in Brazil. “The black population hasn’t entirely accessed the rights a Republican state should guarantee to its citizens. It is not possible to think of a democratic society without overcoming this stage,” says Reis. For Benedita da Silva, Rio’s representative in the Federal Chamber of Deputies, and one of the only three black female lawmakers in the House (among 513), Brazil has been currently living a ‘profound regression’ in terms of social policies. “We have nothing more important to do in this moment than to support our democracy,” affirms the lawmaker. How did Brazil get away with running a racist system in that country and for a long time nobody spoke out against it? Many blacks that I met on my first visit to Brazil refused to call themselves black. There has been a stigma attached to being black in Brazil and many people were shame of themselves. However, on my last trip to Brazil, many people were speaking out against racism in that country.